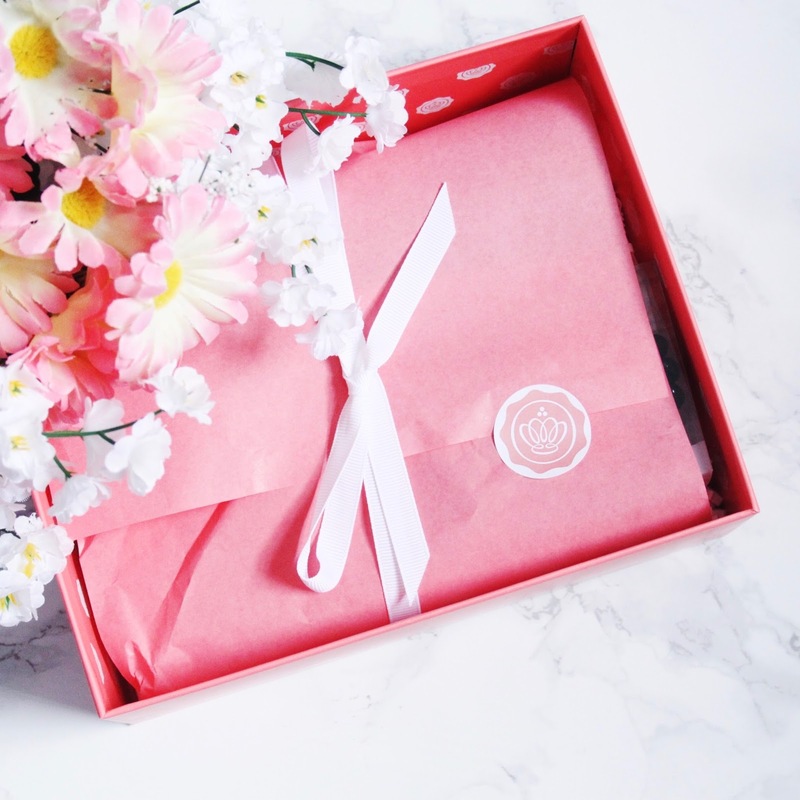 I recently decided to give glossybox another try, as I've heard that it has got quite a lot better since I was last subscribed to it. I think I also unsubscribed last time aswell due to us moving and having to save every penny where we could. I'm so glad I decided to subscribe again as apart from 1 item, I loved most of the products in the July Glossybox. I received a black and a clear one of these, they came as 2 in a pack which is really good value for money I think. I gave the black one of these to my sister as she has dark hair, and I have blonde hair so I only kept the clear one for myself. I was so glad I got these in my box as I love them, they don't feel tight in your hair (even though they are) and whereas they don't feel tight they don't give me headaches unlike normal hairbands tend to do. This product would of came in handy a few weeks ago with all the nice weather we was having here in London, this past week has been non-stop rain on and off though. I wasn't keen on the smell of this at first, but it's defintley something I will be saving for those hot sunny days when you tend to get a bit sunburnt without knowing! 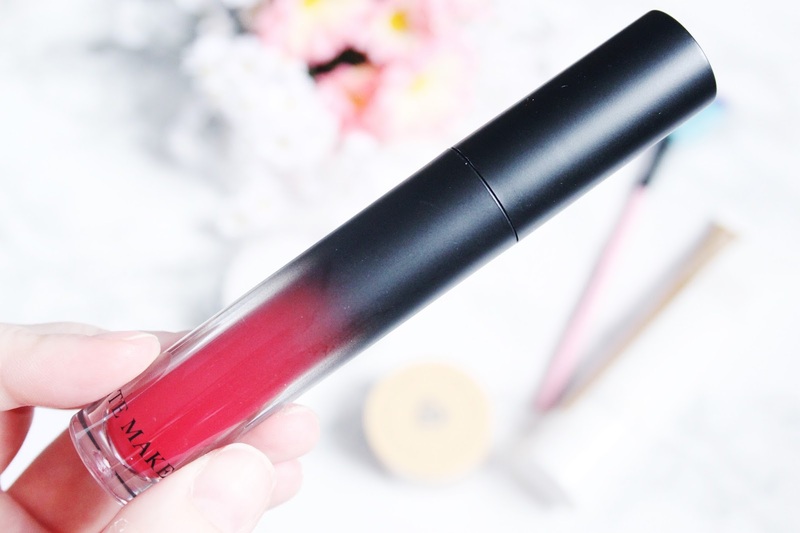 This was the product that I was the most disappointed with in this months Glossybox, don't get me wrong it's a lovely colour but has a nasty taste to it (not that you eat it haha) but when its on your lips. It's not a colour I would use on my cheeks either so it's not something I will be using again, in fact because it's only been used one I may put it to one side to add into a bundle for a giveaway on my blog. 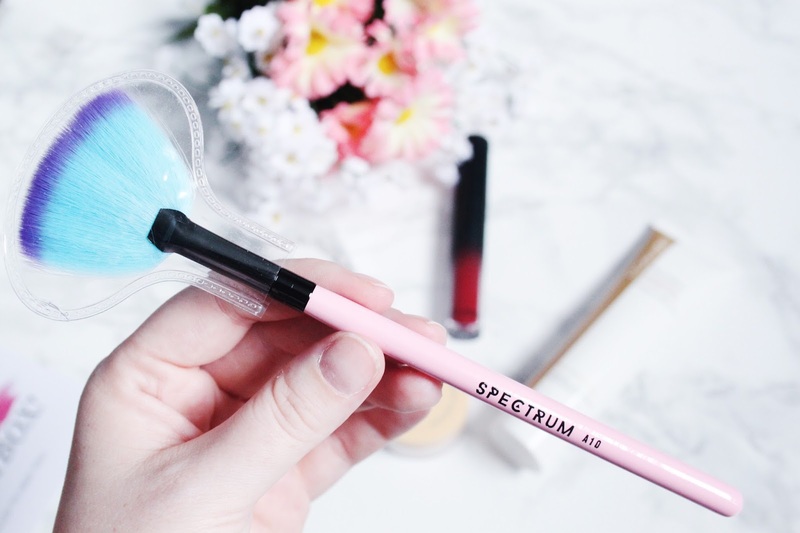 I will be the first to admit that I never knew what these brushes were for exactly for or used for, and honestly I still don't know now haha. I will definitely keep this brush though and have a read up on what these are used for, and then maybe I'll be able to get some use of it. This was the product I was most excited for when I opened this months Glossybox, I have heard so many good things about banana powder but had never tried it before. Then after reading on the product leaflet that comes with glossy box, I was excited to read that this counteracts redness, discolouration, blemishes and dark circles. I get quite a bit of redness around my nose due to the tablets I'm on, so can't wait to try this out to see what it's like.